Offering you a complete choice of services which include l sealers and semi automatic l sealers. Enriched with years of experience, we are producing L Sealers for use in the stationery, welding rods, bottles, cosmetics and so on. Armored with robust body, these sealers consist of heavy duty control timers. One could easily adjust their setting according to one’s convenience. Reliable and accurate performance is the hallmark of these l sealers. Apart from this, these l sealers are available at feasible prices to the clients. Consist of heavy duty control timers. 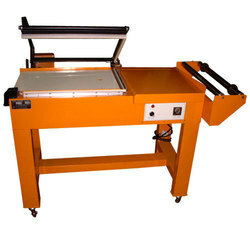 Our organization is a prestigious and reliable organization in the field of offering Semi Automatic L Sealers to the clients. 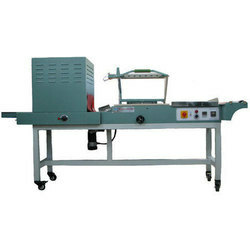 Consisting Shrink tunnels which plays vital role in their performance, these automatic l sealers additionally have heavy duty electronic timers and other important tools. These semi automatic l sealers are stringently tested by the quality controllers to ensure their compliance with the set industry standards. Looking for Industrial Sealers ?